President Washington hoped to retire after his first term as President. Washington believed his health was failing. He did not believe he was physically fit for the job of President. Washington also believed that it was important to show that American leaders, in contrast to European leaders, would seek to peacefully turn over power. Unfortunately for President Washington the one thing all of his lieutenants agreed on was the need for him to continue as President for a second term. Washington acquiesced and agreed to run for a second term. 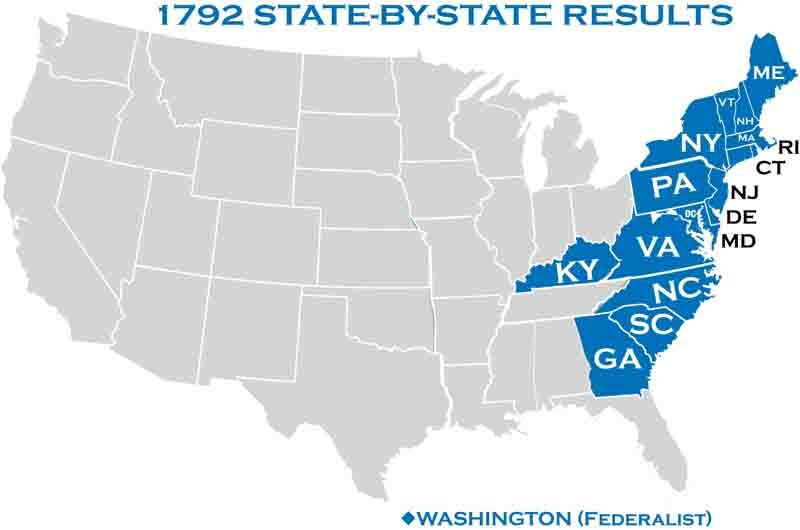 Once again, the electors unanimously selected Washington. John Adams won again, for the position of Vice President. 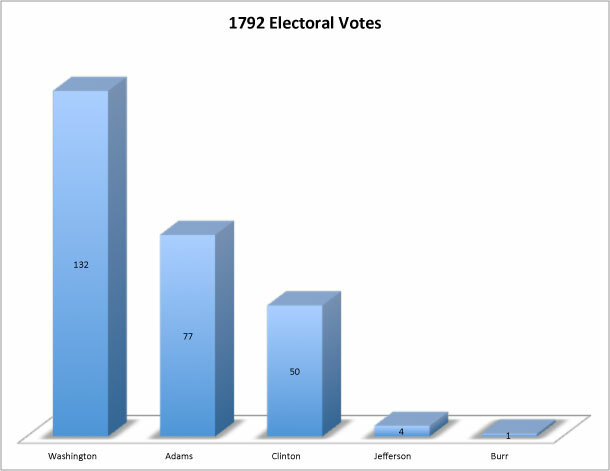 However, Adams only received 77 votes, compared to 50 votes received by Governor George Clinton.